Incorporating wild ornamental shrubs native to your area into your landscape is a shortcut to low-maintenance, high-performance gardening. Observe these shrubs in their native habitats to learn what they offer in each season. Plant them in your landscape to provide a continuing succession of bloom. The branches of these shrubs shelter wildlife, while their flowers and fruit attract birds and pollinating insects. Growing wild in south and west central Texas, hummingbird bush (Anisacanthus quadrifidus var. wrightii) is an exceptional performer in hot, dry locations. Standing between 3 and 5 feet tall, this spreading shrub has brilliant orange-red flowers that contrast strikingly with its pale green leaves. 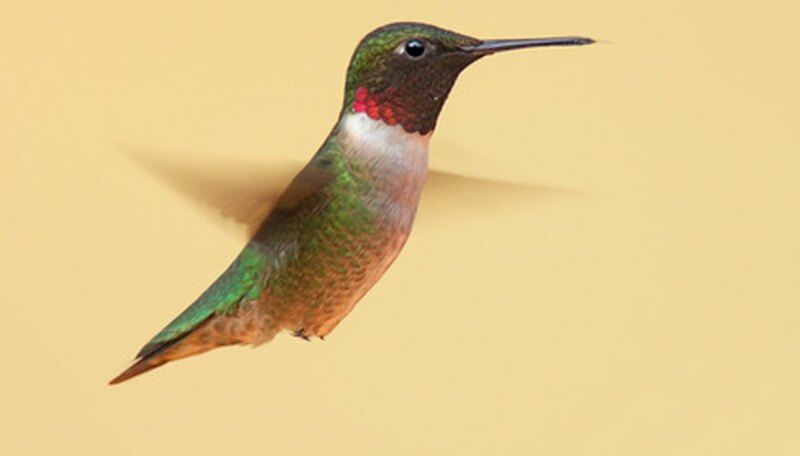 The plant's nectar draws hummingbirds. Hummingbird bushes bloom following rain from June to October. Planted in groups, they can be sheared to form eye-catching low hedges. They prefer sunny (for maximum bloom) or partly shady spots and tolerate a wide range of soil, from rocky to limestone-rich, and from sand to clay. They also make attractive container plants. Sea myrtle (Baccharis halimifolia) grows wild along the eastern U.S. coast from Florida to Massachusetts. Belonging to the aster family, this 6-to-12 foot shrub has multiple, heavily branched, short trunks with attractive grayish-green oval leaves. Between August and October, it produces clusters of small white to pale green flowers. Female flowers give way to its most noticeable feature, silvery plumes that resemble paintbrushes. Sea myrtle is one of the rare wild flowering shrubs that's tolerant of saltwater spray. Plant it in wet, slightly acidic to slightly alkaline soil and partial shade. The plant prefers sandy or sandy loam soil. Sea myrtle grows quickly, but its branches are susceptible to breaking in strong wind. Most gardeners are familiar with shade-tolerant shrubs of the rhododendron family. Bottlebrush buckeye (Aesculus parviflora), a small horse chestnut shrub, will pick up where spring blooming azaleas and rhododendrons leave off, keeping shady areas interesting well into summer. This June and July bloomer, a mounding shrub between 6 and 12 feet high, has branches that become more upright as they ascend its trunk. Nearly horizontal, lower branches may brush the ground. Dark green foliage becomes yellow green in autumn. The shrub's glory, however, lies in its abundant cylindrical floral spikes. Their fine white petals contrast with red anthers (which hold the pollen) and pink stamens (the filaments supporting the anthers). The complete effect, responsible for the shrub's name, is that of a bottle brush. Both butterflies and hummingbirds feed on its nectar. Bottlebrush prefers partial shade and moist, well-drained, thin soil over limestone or sandy loam. It performs well in the shade of larger trees. The leaves and seeds are toxic if ingested.